Now a passerby would probably hit himself on the head and pinch himself to make sure he isn’t dreaming, if he walks past this awesome structure for the first time. At least I would, if we hadn’t checked it out before hand. 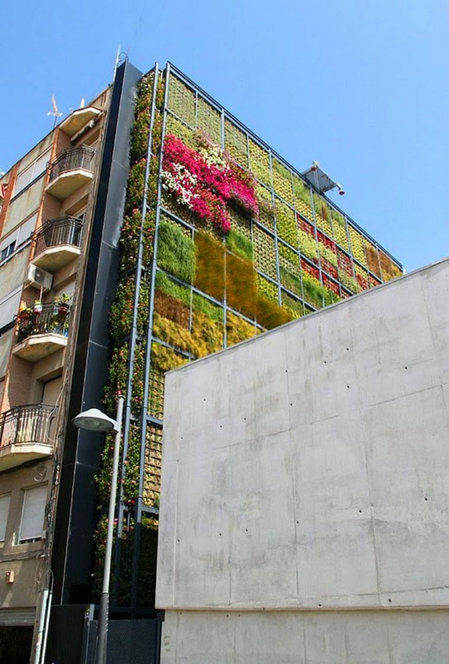 Anyways, what we’re talking about is a vertical garden is the southeast of Spain. 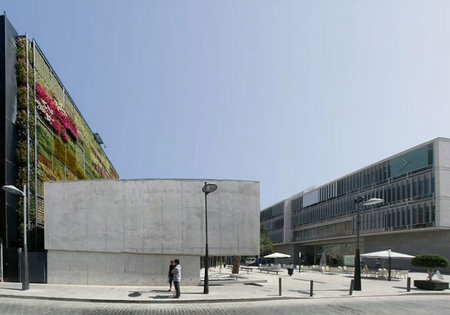 This six-storey high garden has been sprouted up on the façade of a new children’s library building, in the town square of San Vicente del Raspeig. The garden is in itself an architectural wonder; a designed conceived by architect Jose Maria Chofre. 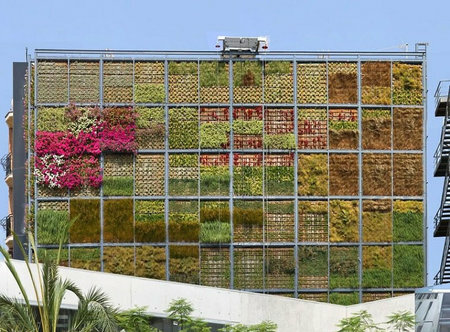 The building, owing to the fact that it has a full fledged garden growing on its side walls, contrasts the otherwise concrete surroundings. Using synthetic felted material, plants are inserted into the frame between two metal grids. The garden consists of a metal frame structure and can be easily accessed from several corridors in the back and can be replaced. Smaller plants are housed on the top while ferns take up the space below. 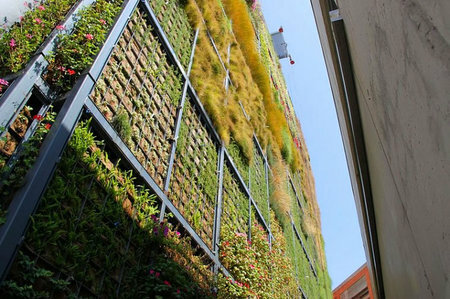 A beautifully green concept indeed, this vertical garden sure is an eye catcher!